The CIA is engaging in an unlawful practice – "extraordinary rendition" – abducting foreign nationals for detention and interrogation in secret overseas prisons. 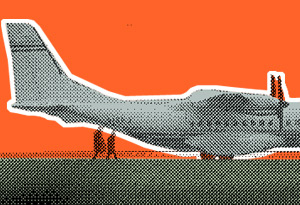 "Extraordinary rendition" must be stopped before more victims are targeted. Americans cannot tolerate kidnappings and secret prisons. Having failed in its efforts to seek redress before domestic courts, on April 9, 2008, the ACLU filed a petition with the Inter-American Commission on Human Rights on Khaled El-Masri's behalf. Khaled El-Masri, an innocent German citizen who was a victim of the government's unlawful rendition program, seeks public acknowledgement of what was done to him by U.S. officials and an apology from them. In this petition, the ACLU asks that the Commission declare that the "extraordinary rendition" program violates universal human rights guarantees including the right of everyone to be free from forced disappearance, arbitrary detention and torture. The petition is pending determination. Although the story of Mr. El-Masri's mistaken kidnapping and detention at the hands of the CIA is known throughout the world, his lawsuit was dismissed by the U.S. District Court for the Eastern District of Virginia after the government invoked the so-called "state secrets" privilege. That decision was upheld by the U.S. Court of Appeals for the Fourth Circuit, and the Supreme Court's refusal to hear the case lets that decision stand. "[The Bush] Administration has invoked the state secrets privilege not to protect national security, but to protect itself from embarrassment and accountability," said ACLU attorney Ben Wizner, who argued El-Masri's case before the Fourth Circuit in November 2006. "Mr. El-Masri's case should be a powerful reminder that when our government abandons the rule of law, innocent victims suffer the consequences."